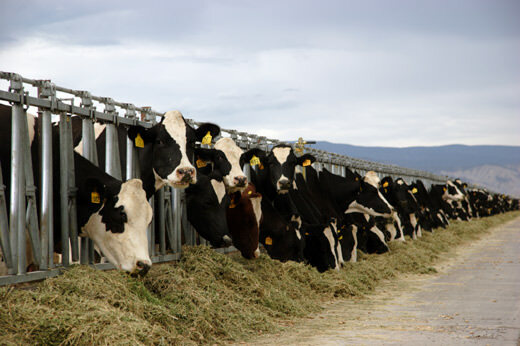 Dairies in California are coming under increasing governmental regulation due to concerns about the impacts dairy operations are having on the environment. In 2007, the California Regional Water Quality Control Board, Central Valley Region, issued Order No. R5-2007-0035, Waste Discharge Requirements General Order for Existing Milk Cow Dairies, to address those concerns. Condor’s professional engineers and geologists provide a variety of services to dairy owners and operators as they take the necessary steps to comply with the General Order. Our professionals work frequently with local and state regulatory agencies, including the California Regional Water Quality Control Board, and are well versed in regulatory compliance issues. Condor’s professional engineers are able to prepare reports that evaluate the containment capacity of existing wastewater ponds and the flood protection of the dairy, as required by the General Order. If the existing wastewater ponds do not have adequate capacity, our engineers can provide wastewater pond design, construction monitoring, and regulatory services. If the flood protection does not meet the minimum requirements of the General Order, our engineers can propose modifications or improvements to achieve the necessary flood protection. Prior to preparing a MWISP, a professional geologist or engineer will meet with the dairy owner and/or operator to discuss the requirements of General Order and evaluate the minimum number of groundwater monitoring wells that will be required to adequately monitor potential impacts to groundwater, and the best locations for the monitoring wells. Condor can prepare a MWISP that describes the proposed number and location of groundwater monitoring wells to be installed, drilling details, monitoring well design, monitoring well development, surveying, groundwater monitoring, and a schedule of activities. The MWISP will be signed and stamped by a Condor professional geologist or engineer.